Keep all your contacts in one place. Stay organized, make meaningful decisions and close more sales. Make faster, informed decisions with the simplest contact management software for growing companies. Get real time updates on your contacts by tracking their activities on the timeline and based on their behavioral patterns. 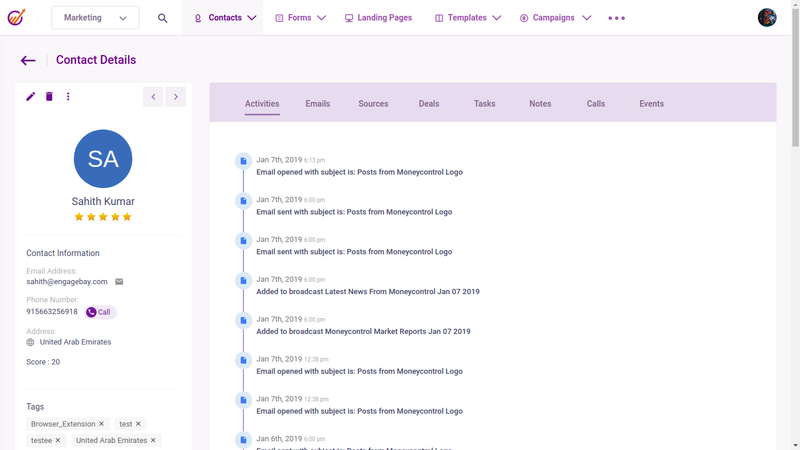 Enable your team to get in touch with high potential prospects at the right instance by giving them access to the complete customer journey and help them make informed and wise decisions for increased conversions and great customer experience. Our best contact management software does just that for your business. 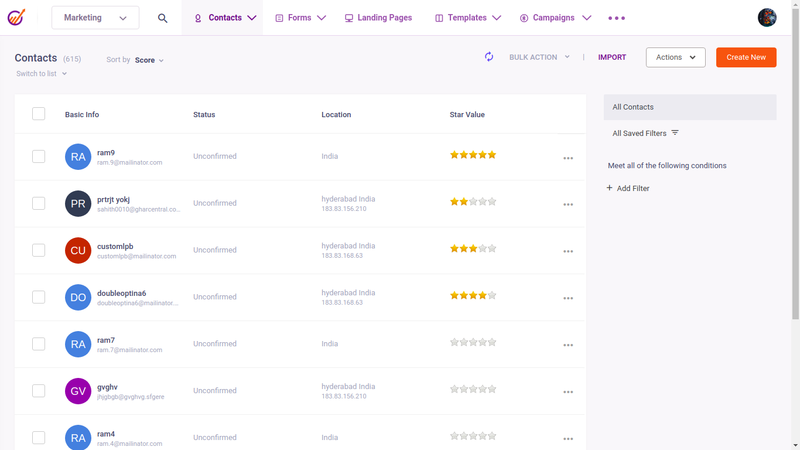 Get access to the complete customer profile in terms of their contact details, their recent and past interactions, interests, engagement patterns, response rates, social presence, calls notes, task history on a single page using the 360 degree contact view. Having all details pertaining to a contact in a single view is vital at all times for sales teams to achieve their targets. Contacts scattered everywhere? No worries. With the integrations we offer through tools like Google, Office 365 and a host of other platforms, import them to EngageBay in just a few clicks. 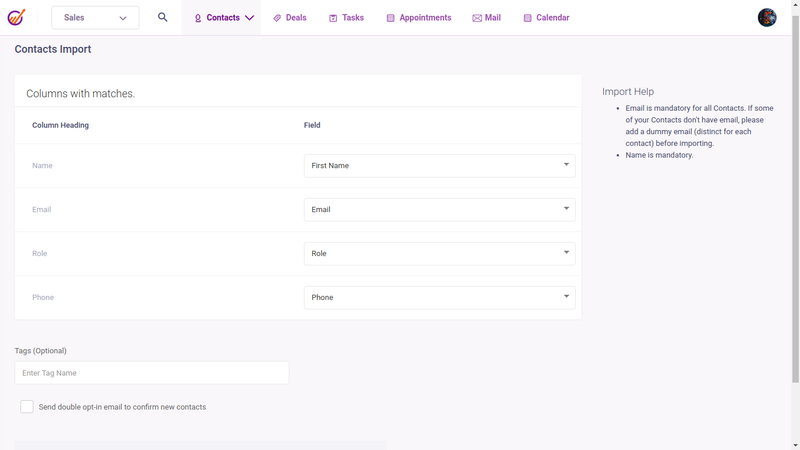 Importing contacts from a CSV file is also a key requirement for many small businesses which our contact management software allows you to do. Manning multiple mailboxes is tedious and always comes with the pain of something slipping through. Integrate all your email accounts to EngageBay and manage emails from a single inbox. EngageBay can be integrated with Gmail, Office 365 or any other IMAP service. Two way sync offered by our contact management software gives you the edge to stay on top of all customer interactions with your team. 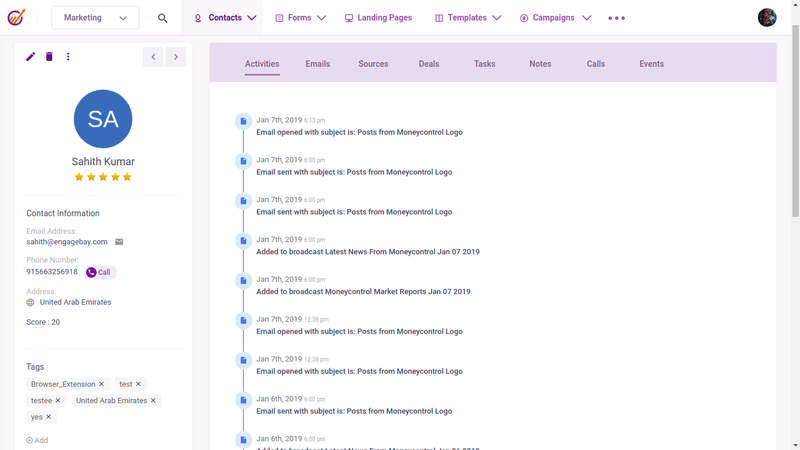 Allow your teams to stay in touch with high potential customers in real-time by giving them visibility to the complete customer profile like their web activities, email response, open and click rates and a lot more. 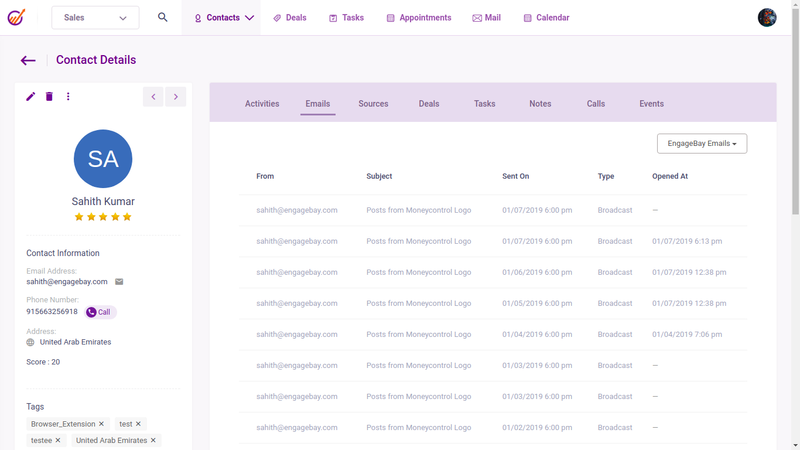 This single view of the complete customer activities available on our contact management software helps your team increase their efficiency.